Take one bowl, mix hung curd, honey and mix well. Take a serving glass. Put layer of hung curd at the base .spread muesli over hung curd . 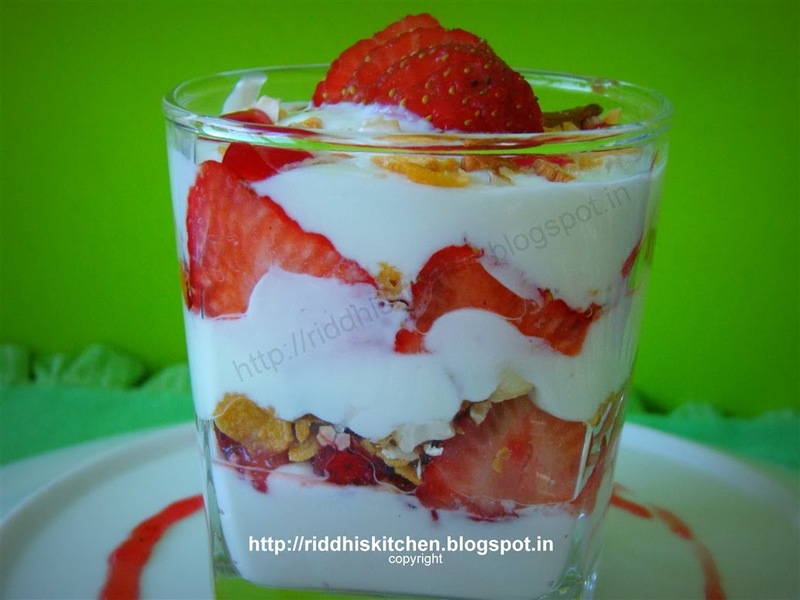 Arrange strawberry slices over muesli layer. Repeat these three layers once. Garnish with fresh strawberry and serve immediately. Tip: You can also serve as dessert.